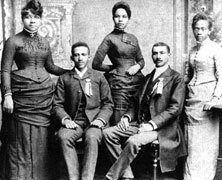 1866 – Fisk University Established. Fisk University, a historically Black university was founded on this day in 1866. It was the first Black institution to gain accreditation by the Southern Association of Colleges and Schools. The school sits on 40 acres of land in Nashville, Tennessee and is one of four historically Black to earn a tier-one ranking on the list of Best National Liberal Arts Colleges in the 2011. 1906 – Paul Laurence Dunbar Dies. Dunbar was diagnosed with tuberculosis in 1900 and he moved to Colorado at the suggestion of his doctors. They also encouraged him to drink whiskey to treat the illness and he ended up falling into alcoholism. He succumbed to tuberculosis in 1906 age of 33. 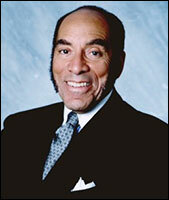 Earl G. Graves, publisher of Black Enterprise magazine and entrepreneur was born on this day in 1935. A graduate of Morgan State University, Graves found a void in the amount of attention given to the Black consumer. He decided to create a newsletter discussing the issues of the Black community as well as its needs for products and services. His work helped to create an interest in marketing products to the Black community. Eventually he expanded his newsletter into a full fledged high quality magazine which he called Black Enterprise which debuted in August 1970. Over the years he has served in various positions and on boards for several prominent companies. Graves has been hailed for his service and received a number of accolades including the Silver Buffalo award from the Boy Scouts of America in 1988 and the NAACP’s Spingarn Medal in 1999. He was appointed by President George W. Bush to the Presidents Commission for the National Museum of African American History and Culture and was named one of Fortune magazine’s 50 most powerful and influential Blacks in corporate America. Morgan State University, his alma mater, named its business and management school after him. Morgan State University’s business school is named after him, Earl G. Graves School of Business and Management. 1914 – Phi Beta Sigma Founded. Phi Beta Sigma Fraternity (ΦΒΣ) was founded on this date in 1914. The fraternity was established at Howard University by A. Langston Taylor, Leonard F. Morse, and Charles I. Brown with the goal of crating a fraternity that promote the concepts of Brotherhood, Scholarship and Service.